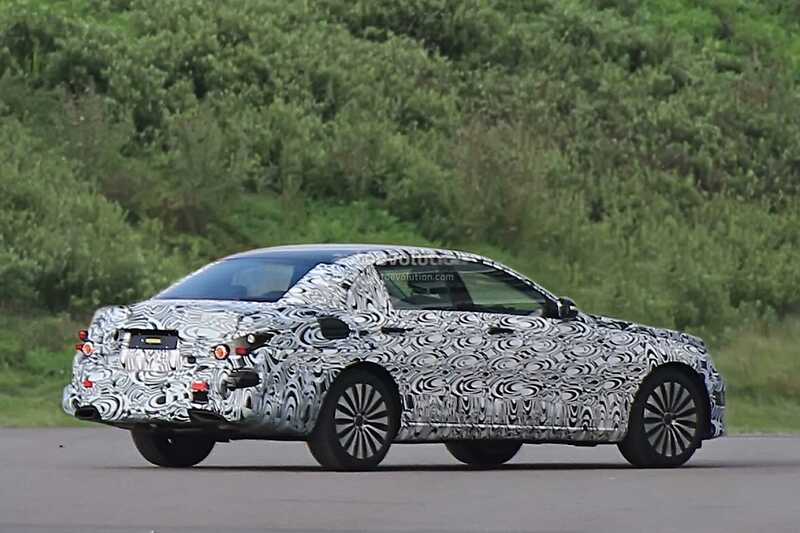 2017 Mercedes Benz E-Class Creates Waves Among Enthusiasts: Camouflaged Vehicle Caught by Spy Camera? The reported capturing of the 2017 Mercedes Benz E-Class by a spy camera is creating waves among Mercedes fans. There are rumors running rife regarding its features and expected performance levels as the supposed image of the camouflaged vehicle is running amok. While the image is not clear and much of the details are not seen, a fairly clear insight is being drawn from the images reportedly captured of the 2017 Mercedes Benz E-Class. Reports say that the new E-Class is longer, especially between the wheels while the entire frame itself seems bigger than the predecessor. The company is reportedly attempting to align the features of the new E-Class along that of the S-Class in terms of size although details of the interior are still not clear. Rumors doing the round include that the dashboard and other elements on the inside of the new 2017 E-Class are being redesigned and refined for an improved configuration. All these changes are estimated to make the next-generation E-Class quite similar to the S-Class. Moreover, Mercedes is supposedly planning to launch this vehicle under the Mercedes-Maybach moniker resulting in expectations of more luxury and class as compared to the previous models. Many experts believe that this could also send prices northwards. Another feature that is being expected in the new sedan model is that it will have the capability to drive entirely autonomous on the highways. This information is in line with the work done by Mercedes in the last 2 years in the driverless car segment, including launching a commercial vehicle with autonomous driving capability on the highway. Hence it is believed that the company could think of replicating this feature in its new sedan. Fans and experts are of the opinion that the history of the previous models of the E-Class should not be seen because Mercedes has taken an entirely new approach for the upcoming 2017 model. Some older fans seem not very happy with this expected change; however, many enthusiasts are expecting this changed approach to positively impact the positioning of the company and the new vehicle in the automobile market. There is however no official announcements on the release date and any other details about the 2017 E-Class. All this information that is doing the rounds among Mercedes fans and car enthusiasts are entirely unofficial and hence skepticism is valid.